I still feel that Halloween III: Season of the Witch gets a bum rap. Look, it’s no classic and is pretty silly overall but most of the ire directed toward the film is because it doesn’t feature Michael Myers, the masked killer who stalked Jamie Lee Curtis through two previous films. 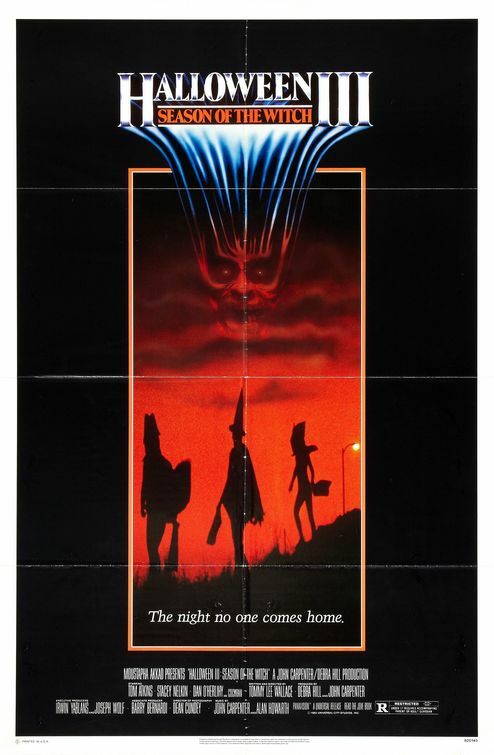 Original writer/director John Carpenter originally thought about making the Halloween series an anthology…but the audience reaction to this one and the overall popularity of Myers effectively killed that dream. This teaser for Halloween III: Season of the Witch is pretty creepy, not giving any indication the series was about to take a step in a different direction. Probably a good idea considering I’m not sure how many people would have gone to see it had they known in advance Michael wasn’t stopping by. Also included at the end is the final trailer that incorporates parts of the early teaser in it as well.